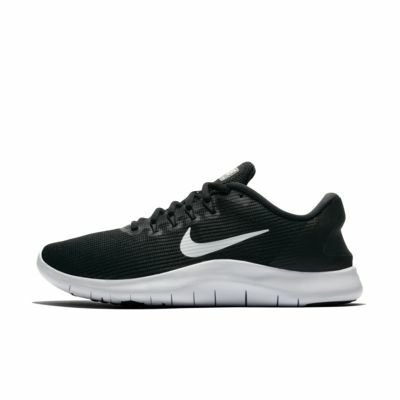 These are a great shoe for someone just getting into running! They're comfortable and fit my foot well, the shoe has a high arch on the inside which I find to be very comfortable. Would definitely recommend to someone new to running! I bought the black and white one which is just how it looks in the photos. I have a pair of 2016 Flex RN (still in good condition after a few years) that I wanted to replace and the 2018 model is just as good. I have tried on many pairs of Nike sneakers and these fit me the best and are the most comfortable by far. However, I wish there was a bit more arch support. I love that the design is slim, but there is still a good amount of wiggle room in the toe area. An all-around great shoe for running, sports, and jobs with a lot of standing/ walking. I purchased the Black/Obsidian/Provence Purple/Metallic Gold color. The sole is a bit more purple than grey as shown in the picture but still looks great. I like it as opposed to the typical white sole because I run often outside and the dirt doesn't show as much. I love the look of this shoe and the solid sole. I am a true 6.5 with narrow feet. I ordered a size 7 and they fit perfect. Recommendation order half size up. They are very comfortable!